A Cult classic film Starring Art Swenson has become Russias favorite film. Russians can not get enuff of anything Swenson. 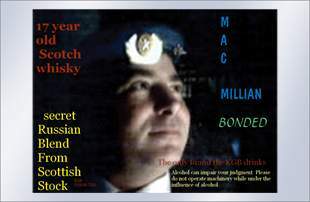 the hard drinking Kgb agent Mike Swenson plays in the film is so well liked and loved by russians they want to drink Mike McMillam (his character) Scotch. They film while a failure in the USA has become the biggest cult film ever of eastren Europe and in the Russian federation. Films US title was Cheney's Tomorrow Never Comes.